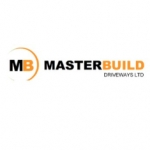 Based in Wiltshire, Masterbuild Driveways Ltd are the No. 1 installers for driveways, patios and landscaping in Wiltshire. We take great pride in providing a quality bespoke service whether laying a new driveway, patio or working on a landscaping project for residential or commercial customers. If you're looking for block paving, gravel, resin bond or Tarmacadam get in touch, we promise you a competitive quote! We welcome any customer to inspect our past projects, to see first hand our high standards of workmanship.